Lundy, or 'Puffin Island', sits in the middle of the Bristol Channel. It's an escape from the rest of the world with just one pub, a farm, two lighthouses and a year-round population of around 20. 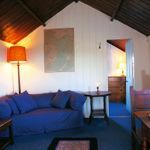 You can stay in a cottage, campsite or castle, exclusively available through the Landmark Trust, whose work in restoring and sustaining historic buildings is fantastic. Lundy Island is an unspoilt treasure, just three miles long by half a mile wide. 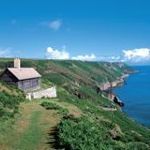 If you relish remoteness, tranquility, fresh air, a choice of outdoor activities and wildlife, then Lundy fits the bill. Above all, you will stay in truly unique accommodation. 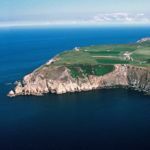 There are 23 Landmarks on Lundy, sleeping from one to 12 people, including a 13th century castle, a fisherman’s chalet, a lighthouse, a converted pigsty, a late Regency house and even a campsite. The Landmark Trust is a charity that restores historic buildings and then lets them for self catering holidays. There are around 190 Landmarks, mostly in the UK. You can stay in a castle, a fort, a tower, a romantic folly and even a pineapple or a pigsty, whilst at the same time contributing towards the building’s future care. No two Landmarks are the same, but all share a traditional live-in feel and each surprises and delights in a different way.The furniture, books and pictures are carefully chosen to add to the experience, and each comes with a well-equipped kitchen. Travel to Lundy Island from North Devon (Bideford and Ilfracombe) on board the charming MS Oldenburg ferry during the summer months or by helicopter from Hartland Point from November to March. 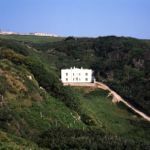 Click here for more about Landmark Trust breaks on Lundy Island.